Here is an update to the review policy at Euro Crime. The main change is to how we receive and request review books (see background info*). Euro Crime is dedicated to the promotion of British and European crime writers, be it terms of bibliographies and upcoming releases or the weekly review selection. I do receive emails about books that fall outside the remit of Euro Crime from time to time so I thought I'd try and lay out what is and isn't likely to be reviewed. 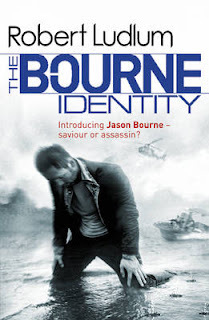 1) If the author is British/European (irrespective or where the book is set) eg Lee Child, Ann Cleeves, Martin Edwards, Matt Hilton. 3) If the book is translated (irrespective of whether it's European or not - this category is of particular interest to me as I'm currently one of the judges for the CWA International Dagger.) eg Deon Meyer. Unabridged talking books and e-books in the above categories can be considered on a case by case basis as not all reviewers have or want the relevant technology. Books from the smaller book markets eg Australia, Africa will be considered on a case by case basis. eg Peter Temple, Michael Stanley. Please email me before sending the book: karen at eurocrime dot co dot uk. I would prefer to direct review copies from publishers straight to the review team. However where books come to me first I send out an email, roughly weekly, listing books received and then send on the books requested to the reviewers. This is a bit costly and time-consuming and delays the books getting to the hands of the reviewer, however perhaps with the rise in popularity of e-readers, the availability of e-galleys will increase. *For the past year I have not been sending out review copies to the review team. I wrote to the publishers and asked them not to send me any books with the exception of translated titles as that gives me a head start in my International Dagger reading. What I do now is this: as publishers' catalogues become available for publications due Jan-June and July-Dec I go through them, list the relevant titles and send this list to the review team. The review team then choose which titles they'd like to review, I allocate them equitably and email the publisher with a list of books and addresses. This approach is working quite well with some publishers and not so well with others which is why some publishers are getting their books reviewed and others are not. The bottom line is: please do not send me unsolicited books (with the exception of translated titles) as these will not get reviewed however if you drop me an email, it is very likely I can find a reviewer who will be pleased to review it. Euro Crime tries to review as many books as possible, nine new reviews are uploaded most weekends. Please note that the reviewers are crime fiction enthusiasts offering their honest opinions and that a review cannot be guaranteed. No payment is received for reviews. I never sell arcs or review copies, any spare finished copies are added to my library's collection or given to charity shops. The cream of acting talent is also recognised at the Specsavers Crime Thriller Awards with categories for Best UK and International Crime Series, Best Actor, Best Actress in a Crime series and Best Film. The vote opens on the 7th September at midday. The winners of the Awards will be announced at The Specsavers Crime Thriller Awards on Thursday 18 October at the Grosvenor House Hotel. The voting is open for for the Specsavers Bestseller Dagger at the crime thriller awards website. The next episode in this second run of Inspector Montalbano, at 9pm on 1 September, is Equal Time, which is not based on any of the books in Camilleri's series but may be based on a Camilleri short story. When a man is found murdered with a sawn-off shotgun, Vigata police are called upon to extinguish what appears to be the beginnings of a new Mafia war. 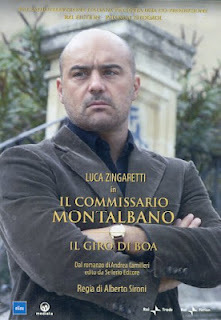 But Montalbano has his doubts on the exact nature of this particular murder. When he is taken off the case and assigned to investigate the disappearance of a young Ukrainian woman, he gradually uncovers a series of links between the two cases. 1820 Yorkshire and married couple Jane Eyre Rochester and Edward Rochester and their newborn son Ned are living in a ramshackle hunting lodge after the Rochester home has been burnt down. Edward's eyes were damaged in the fire and he is now partially sighted. Edward's ward Adele is down in London at a small and exclusive boarding school however the Rochesters are worried about her as her letters have been short and formal with no mention of the new arrival to the family. Matters come to ahead when a letter from Adele includes a threatening letter against her. Edward is unable to travel for a while, on doctor's orders, so Jane must set off on her own. Jane's journey to London is not without incident and a robbery leaves her with a bruises and a black-eye. Upon arrival in London she is warmly taken in by an old friend of Edward's, Lucy Brayton. When Jane goes to visit Adele she is shocked to see a body being removed from the school. Jane is unable to speak to Adele as the poor girl found her classmate dead and has been tranquillised with laudanum. Jane's plain attire leads her to being mistaken for the expected replacement German teacher and as the Bow Street Runners are investigating the suspicious death, Jane agrees to act the part of teacher and protect Adele and the rest of the girls. As Jane investigates she find that the dead girl had many enemies and many mysteries. Can she unearth the real murderer before the wrong one is accused? DEATH OF A SCHOOLGIRL is the first in the Jane Eyre Chronicles the story of Jane Eyre, written by her own hand and lost until now. I haven't yet read Jane Eyre (but I have seen two BBC series including the extended 1983 Timothy Dalton/Zelah Clarke version) and I understand it to be much more than just a love story, but also concerning itself with gender and class inequalities, morality and more. DEATH OF A SCHOOLGIRL continues this approach, with it being more than a crime plot with an already well-known character, as Jane and many of her colleagues at the school rail against what is expected of them because of their gender and position in society. Jane is also quite self-reflective and frequently mentions how she misses Edward and Ned. Edward himself only makes an appearance at each end of the book. Much of the original Jane Eyre story is woven in as are some of the characters. Being set in a boarding school there are many reflections by Jane on her miserable time at Lowood and how poor its conditions were, compared to the luxury these girls have. Jane is well placed to be a detective as she is a married to a member of the quality, has her own fortune but can also take up her old profession of governess/teaching; she has a foot in both ends of the class system. The answer to the whodunnit is hidden in plain sight and to my chagrin, I missed it, which meant I was kept guessing almost to the end as to the motive and person behind the crime. The book is written in an authentic and easily readable style. It does suffer, at least in my netgalley proof, from a touch of Americanitus with a few gottens, sidewalks and snickers, a normalcy and an appearance by a mockingbird (none of these terms being in my kindle version of Jane Eyre) as well as toward for towards, talk with for talk to and write for write to. I can understand why they are there, as the main readership will be American, but they do stick out like a sore thumb to a British reader. 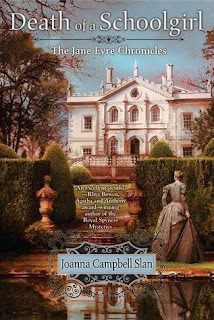 I greatly enjoyed DEATH OF A SCHOOLGIRL and I hope there are more chronicles to come and I really must read Jane Eyre! "Prefaced" by Lee Child and published in November. 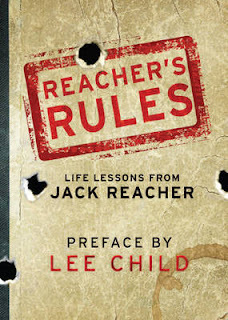 My name is Jack Reacher. No middle name, no address. I've got a rule. People mess with me at their own risk. Rule 2. Never volunteer for anything. Soldier's basic rule. Yes, next Saturday (25th) sees the return of Inspector Montalbano to BBC4 (at 9pm) with the remaining 12 episodes. I have so far watched eight of the first ten and have saved the last two until more news about the "second series" (I do this with books too) and have loved them. The first episode of the second batch is Turning Point based on the novel Rounding the Mark the seventh in Andrea Camilleri's series. One of Montalbano's most difficult cases begins during one of his habitual morning swims, when he finds a decomposed body floating in the water. The investigation leads him to uncover the unsavoury realities of international child trafficking. and I review the audio book release of Nicola Upson's Two For Sorrow the third in the "Josephine Tey" series. 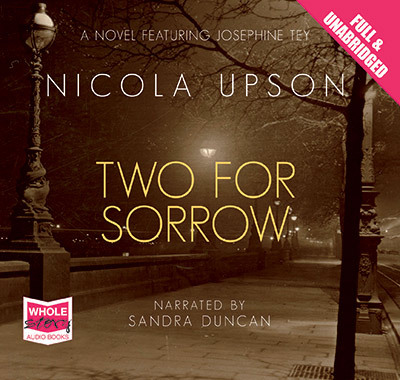 TWO FOR SORROW is the third book from Nicola Upson to feature real-life crime writer Josephine Tey. Josephine doesn't do any detecting, rather she leaves that to (the fictional) Archie Penrose from Scotland Yard. We're back in London, after Cornwall in ANGEL WITH TWO FACES, and Josephine is staying at the women's-only Cowdray Club, run by her old teacher, Celia Bannerman. Josephine is writing a fictional account of the Sach and Walters case (two women who were hanged for “baby farming” ie baby murdering) thirty years before and Celia was one of the warders at the time and knew Amelia Sach. There is to be a gala ball at the Club and Josephine's friends, the Motley sisters, are creating the gowns. However tragedy strikes when one of their seamstresses, a former prisoner, is sadistically murdered in the Motleys' shop and the woman's father is also found dead, just outside. Archie is called in to investigate. As well as being on the periphery of the investigation, Josephine's emotions are in turmoil with the reappearance of an old friend who wants more than perhaps Josephine is willing to give. TWO FOR SORROW is quite long but always interesting. As well as a crime novel it's a fascinating look at the role of women in the 1930s and highlights how things were so much worse for women than men in prison. “Baby farming” is a term I'd only come across recently in a teenage fiction book (VELVET by Mary Hooper) but in this there is a lot of shocking and upsetting detail and Archie goes to some grim places in pursuit of his enquiries. I do love the showbizzy glamour of the books set in London (see also AN EXPERT IN MURDER) with real-life actors and thinly disguised actors flitting in and out and I have one eye on Google to see who and what is real and who and what's fictional. So little is known of Tey's life that this series is like reading a biography of her, fleshing out the few known facts that there are. Sandra Duncan gives an outstanding performance with a warm Scottish accented Josephine and clipped, attractive upper-class accent for Archie plus many more different vocalisations for the supporting cast. The Award seeks to recognise and reward excellence in Scottish crime writing, first published between 1 August 2011 and 31 July 2012. Over 40 books of fiction and non-fiction were submitted by UK publishers. Eligible books were by writers born in Scotland, by writers living in Scotland, or books set in Scotland. Read more about this new convention, Bloody Scotland, held 14-16 September in Stirling, here. From my database I can identify the eligible fiction titles based on nationality but I don't record residence(!) or non-fiction titles so I have missed some titles (links are to Euro Crime reviews). The Mulgray Twins - Suspects All! and Susan also reviews Cath Staincliffe's Split Second also now out in paperback. 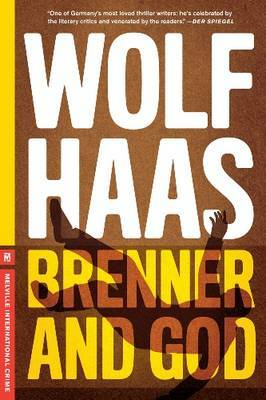 BRENNER AND GOD is the seventh in the Brenner series by Austrian author Wolf Haas but the first to be translated into English. Former Viennese police officer Simon Brenner has a new job as a chauffeur. His main role is driving Helena, the two-year-old daughter of a successful couple along the autobahn between her mother, running an abortion clinic in Vienna, and her father, an owner of an important construction firm in Munich. On one such trip Brenner has to refuel the car and leaves Helena in the car alone for a few minutes whilst he buys coffee for himself and a forbidden chocolate bar for her; he returns to the vehicle to find her gone. As well as being questioned by the police he is also fired from his job. But Brenner decides to get to the bottom of the kidnapping. Both parents have their detractors particularly Helena's mum whose clinic has protesters outside it every day whilst her father is about to build the controversial Megaland, and yet there doesn't seem to be a ransom demand. 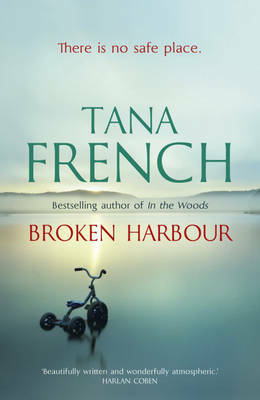 Brenner gets involved in the complex intertwined world of construction, banking and local government before the truth is revealed as to the whereabouts of Helena. I recommend this quirky tale and look forward to the next one which will be the second in the series, THE BONE MAN, which has been made into a film. The latest book by American author Jefferson Bass (also known as Jon Jefferson and Dr Bill Bass) is set in France and so Euro Crime, in the shape of Amanda Gillies, took the opportunity to ask him/them some questions. Amanda's review of Jefferson Bass's The Bones of Avignon and Sue Armstrong's A Matter of Life and Death. After reading about the Body Farm in Sue Armstrong’s A Matter of Life and Death last year, it gives Euro Crime great pleasure to ask you a few questions about yourselves and your latest book, The Bones of Avignon. EC: For those of us that don’t know you, can you both tell us a little bit about your background. Jefferson: I’m an English literature major who’s gone over to the dark side. I’ve worked as a freelance journalist and television documentary writer/producer before turning to crime … er, to crime-writing. Bass: I’m a forensic anthropologist. I taught for 11 years at the University of Kansas and then for about 25 years at the University of Tennessee, where I was head of the Anthropology Department. Early in my career there, realizing the need for a better understanding of postmortem human decomposition, I created the Anthropology Research Facility – better known as the Body Farm. EC: You’ve been writing together for quite a few years now. How did you two meet in the first place? Jefferson: We met in 2001, when I was writing and producing a documentary about the Body Farm for National Geographic. I called up Bill Bass out of the blue, told him who I was and what I wanted to do, and he gave the project his blessing. One of my favorite stories about our early acquaintance took place at a Knoxville restaurant. We were discussing the case of a young woman who had been stabbed to death, and suddenly, to illustrate a point, Bill reached across the table, snatched away my plate, and began stabbing my lunch with a steak knife. People at the nearby tables looked shocked for a moment, then – when they recognized the guy with the knife in his hand – they smiled, nodded, and went back to eating. EC:. Both already accomplished professionals in very different fields, what was it that gave you the inspiration to start writing crime fiction together? Bass: For years, people had been asking me to write a book about my career, but I’m not good at writing anything but scientific articles. While Jon was working on the National Geographic documentary, he wrote a magazine article about the Body Farm, and it was very good. So I asked him if he’d work with me on a book, and he said yes. Our first book together was a nonfiction memoir, Death’s Acre, was a lot of fun to do. We spent two mornings a week going over my case files and my life, and the book got excellent reviews in both the U.S. and the U.K. After that, Jon suggested doing a series of crime novels. I was a little dubious about whether anyone would buy the books, but I was willing to let Jon give it a try. Turns out he was right. EC: One of the best parts of your book is the fact that your descriptions of procedures and bodies are, with very good reason, extremely accurate and realistic. Are any of the descriptions you use based on your personal experiences of bodies and cases? Bass: Absolutely. For example, in the first novel in the series, Carved in Bone, the plot revolves around a body that’s found in a cave. It’s the body of a young woman, and she’s been there for 30 years. During that time, the damp environment of the cave has chemically transformed her soft tissue into a substance called adipocere (the word literally means “grave wax”), and her features have been remarkably preserved. During my career, I’ve worked on several cases involving adipocere, and one of those – a man – was instantly recognizable. EC: Do you find people have a macabre interest in your books because of the body farm? Have donations to your research gone up or down as a result of your books? Bass: Donations have definitely gone up. We now have about sixteen hundred people on what I call our “waiting list” – people who have filled out the paperwork to donate their bodies. Jefferson: ! The number of donations per year has roughly tripled since the National Geographic documentary and the books. In fact, for awhile, every time the documentary was broadcast, there’d be a spike in the number of people calling to ask how to donate their bodies. The books have continued that trend. At one of our book signings, a woman handed us the book to sign, then she handed us her body-donation form, and asked to serve as the two legal witnesses who are required to co-sign the form. That was a first! EC: So, The Bones of Avignon is your 6th book about dynamic Body Farm manager Dr. Bill Brockton and there is a 7th one already released in the USA. What do you have planned for next him, as well as yourselves? 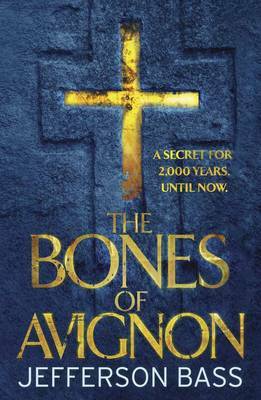 JB: Actually, novel #7 in the U.S. – called The Inquisitor’s Key – is actually the same book as The Bones of Avignon, just differently titled. Our U.S. publisher was afraid that American readers would be less familiar with Avignon, and its important role in European history, than British readers, so we came up with a different title. They both work, in different ways. What’s next? We’re considering a story involving a serial killer – one who seems to be particularly impressed by, and obsessed with, Dr. Brockton. EC: You don’t just write fiction together, do you? Can you tell us something about the other stuff that you have written together? Jefferson: Here’s a story-behind-the-story about our first book, the non-fiction memoir Death’s Acre. That one almost had a premature and very unhappy ending, one that would have scotched the whole series of crime novels. Bass: Shortly after we signed the contract for the book, I was on my way home from Nashville, where I’d given a talk. My wife and I stopped at a restaurant for lunch, and while we were sitting there, I blacked out and slumped over, with no pulse. Luckily, one of the other people eating lunch there was the local medical examiner, who got me on an ambulance very quickly. A few days later I left the hospital – with a new pacemaker installed to keep my heart from stopping again. EC: What sort of books do you prefer to read yourselves? Which authors inspire you the most? Bass: I like non-fiction best – biography and history. Especially the American historian Stephen Ambrose, who wrote excellent books about World War II and about the explorers Lewis and Clark. Jefferson: I bounce back and forth between fiction and non-fiction. I’m a huge fan of the American novelist Cormac McCarthy, whose work is often quite dark and violent but whose language is astonishingly beautiful. One of the current crime writers I admire a lot is Michael Connelly, whose Los Angeles homicide detective Harry Bosch is a great character. Another favorite is Dennis Lehane, whose novel Mystic River is a fine, fine piece of work. EC: How hard was it to find a publisher for your books? Did you find that it was easier than usual, given your own, already considerable, reputations or did that make it harder? JB: Our non-fiction book, Death’s Acre, was miraculously easy. When we finished the book proposal, we sent it to a literary agent who’d expressed a lot of interest in the project. Even before he shared it with a single publishing house, he got a call from an editor who’d gotten wind of it, begging to see it. The editor loved it and quickly offered us a contract. The fiction deal wasn’t quite that easy, but nearly so. Our first editor decided not to buy the fiction, but the next one we approached snapped it up. Interestingly, she’d grown up in Tennessee, and had heard Bill lecture in one of her classes when she was in high school, so she already knew quite a bit about the Body Farm, and was delighted to buy a fiction series that was based there. We’ve been very, very fortunate. EC: Any UK signings planned? JB: We don’t currently have anything scheduled, but will hope for a chance at some point! EC: And finally, do you still get a buzz when a new book comes out or does the excitement start to wear off after the first couple of years? JB: It’s always exciting when it finally turns into a real book. You spend months and months working on something, send it in, and – even though we’ve published a fair number of books by now – there’s always a sneaking suspicion that it’s all a joke or a hoax, that the manuscript has just disappeared into a black hole. Then one day, almost as if by magic, a printed copy arrives by overnight courier: one special, sacred copy. A few days later, there are thousands and thousands of them. It’s especially fun when someone traveling abroad – in London or Dublin or Germany or Japan – sends a photo of the books lined up on the shelves of a bookshop overseas. That’s when it finally seems real, that yes, they really did print this, and people really are buying and reading it. So yes, it’s exciting every time! Many thanks for taking the time to answer our questions, gentlemen. All the best with your UK launch of The Bones of Avignon. We hope it is as successful here as it is in the US. Many thanks to Quercus for arranging this interview and providing a review copy of The Bones of Avalon. and Terry also reviews Tom Wood's The Enemy the second in the Victor hitman series. Tana French's Broken Harbour has recently been published. You can read the first 20 pages here (a pdf hosted on the Euro Crime website and provided by the publishers). Maxine has already reviewed it for Petrona. Both covers appeared in 2010. 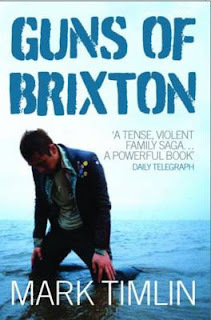 Mark Timlin's Guns of Brixton is 85p on Kindle UK at the moment and Geoff Jones has reviewed it for Euro Crime. THE GINGERBREAD HOUSE is the first in the Hammarby (Stockholm) series and features DCI Conny Sjoberg and his team. The book opens with a scene from nearly forty years earlier involving a six-year-old boy, Thomas, being bullied terribly by his classmates. Thirty-eight years later Thomas is living a quiet and friendless life when he spots the chief culprit in the bullying, Hans, and follows him to his home and then on to a deserted house. Sjoberg is called in when the home-owner returns from a long stay in hospital to find a dead man in her kitchen. The man is soon identified as Hans and the police investigation begins its thorough look at Hans's life. The reader knows more than Sjoberg and that this is only the first of the murders and soon more forty-four-year-olds are dying unpleasantly but their geographical distance apart means that the trend is not picked up until very near the end. As well as the main murder enquiry, one of Sjoberg's team, Police Assistant Petra Westerman is carrying out her own investigation into a personal matter - after she wakes up in an unknown bed after a drinking session. In addition to the two police cases, there are chapters from Thomas and from the 'Diary of a Murderer'. 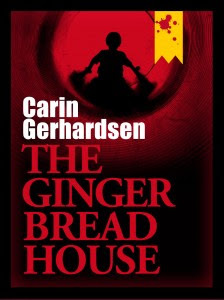 THE GINGERBREAD HOUSE is an intriguing police procedural which also looks at the issue of childhood bullying and the long-lasting impact it has. The outcome to the story is somewhat unexpected and the author does well with her misdirection of the reader. Sjoberg, with his loving wife and large brood of children (including two adopted twins) reminded me somewhat of Dell Shannon's Lt. Mendoza and makes a refreshing change to the often troubled/alcoholic/divorced protagonist. I look forward to reading more about the Hammarby detectives especially as Petra's mystery looks set to continue into the next book. The translation into American English is by Paul Norlen (who is currently translating Leif G W Persson's trilogy). I did raise my eyebrows when something cost "ten bucks" rather than ten krona however this may not be in the final version. THE GINGERBREAD HOUSE is available in both print and electronic (Epub, Kindle* and Nook) versions and is one of several new and welcome releases from Stockholm Text. Read another review of THE GINGERBREAD HOUSE. *The Kindle version has (temporarily I presume?) disappeared from Amazon.co.uk but is still on Amazon.com. It is also available as an Epub from Waterstones and Nook from Barnes & Noble.